STUNNING MIRABAY home in this exclusive waterfront community! Relax and live the Florida Lifestyle in this amazing home. Step up to an large inviting covered patio featuring pavers, a place to enjoy a cool evening beverage with friendly neighbors! Perfectly designed for family and entertaining, entering you will instantly see the homes charms with custom designs throughout the open living concept floorplan. The kitchen features ample space for meal preparation, new stainless steel appliances, wood cabinetry, breakfast bar, and an eat-in kitchen. This light and airy home boast 10’ ceiling throughout. The large master has a tray ceiling, walk-in closet, and the master bath has dual vanities, walk-in shower and garden tub. The home has a split bedroom plan for extra privacy, with a full bath, and laundry room. Through French doors, extend your living space to a huge rear screened-in lanai with pavers overlooking an open outdoor paved patio, and a well-manicured lawn with tropical landscaping. 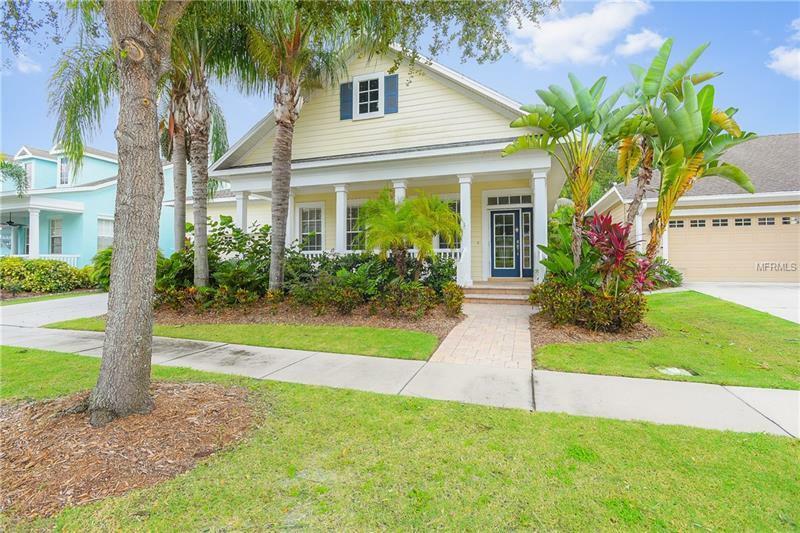 MiraBay is a premier gated waterfront community offering remarkable resort style amenities including a clubhouse, fitness center, spa services, heated pools, cafe', tennis and basketball/pickleball courts, parks and playgrounds, and community events! Schedule your private showing today to tour this pristine freshly painted 3 bed, 2 bath, 2-car garage home today. Welcome home!